At the 2014 Scotties Tournament of Hearts, we caught a glimpse of some of the teams that we could see in the Olympic Trials in four years time. That of course includes the teams that were already in the trials this past year, as the top four teams were in the 2013 event in Winnipeg earlier this season. However, when the dust settled, there was one clear cut team that stood out from everyone else. Complete annihilation is probably the best way to describe Rachel Homan’s performance at this year’s Scotties, as they destroyed teams left, right and centre on their way to a repeat title. They also broke a few records along the way, as Allison Kreviazuk, Emma Miskew and Homan broke Scotties records for shooting percentage during the round-robin, and they became the first team since Linda Moore in 1985 to go undefeated and win the title. In fact their team percentage of 90% would have tied them with Glenn Howard of Ontario at last year’s Brier, which sounds even more ridiculous. The reason they are the biggest surprise is just how they disposed of other teams so easily, as we all watched with our jaws on the ground for the team’s complete destruction of the field. It almost made you think they took their frustrations from the Olympic trials out on the field. Even as a diehard Rachel Homan supporter, I could never have imagined that she and the rest of her team would demolish the field with such ease. In fact, Rachel herself never had to throw her final rock all week long, which is an unheard of feat. Simply put, Homan’s display in Montreal was without a doubt the most dominant run by a rink that I have ever seen, as she only had three really close games all week long. This rink should be the favourite in her second trip to the World’s in March, and it’s hard to see anyone knocking them off any time soon. However, I will say that I would actually pick British Columbia’s Kesa Van Osch as the biggest surprise of the week. For a team that many expected to struggle in her first Scotties event, she was right in the playoff mix near the end of the week with a 6-5 record, which will set the stage for her being more of a threat in the future. Val Sweeting had been riding off of the high of a very good showing at the Olympic Trials back in December, and has really put on some great performances as of late. 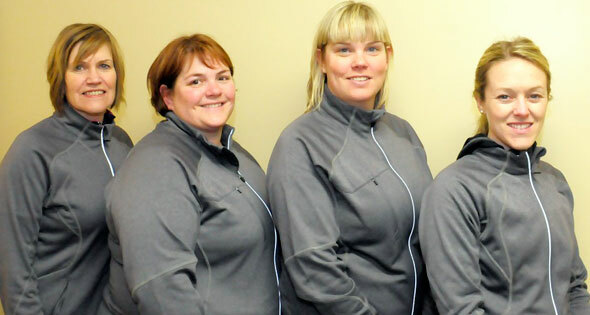 A lot of praise has to be given for Val and company in her second trip to the Scotties after a disappointing showing in 2010 in Sault Ste. Marie, especially with the sweeping ability of Joanne Courtney. 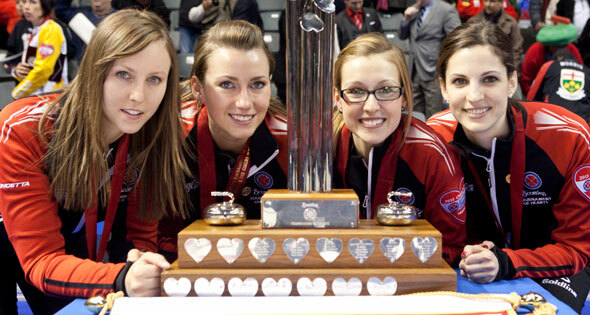 The 2014 season was the coming out party on a national stage for Sweeting. Sure she missed the playoffs at the Trials after a great start, but she was great at the Alberta provincials and was red-hot in the playoffs on her way to a second place showing. Though she came up short in the finals to Rachel Homan, she was right in the game until the very end, and that should bode well for her to be a future title threat. Chelsea Carey got thrown to the wolves in her first two games as she had to face Canada and Saskatchewan. While the Canada game looked like a carbon copy of her first game at the trials (where she lost to Jennifer Jones) as she got destroyed by Rachel Homan, she had a terrific bounce back win against Saskatchewan’s Stefanie Lawton. The confidence grew from there, and they played better as the week went on. However, the one glaring issue was Carey herself, as she got outcurled by the other skips by a few percentage points in at least a few of her games. After shedding the title of the best skip yet to make a Scotties (and moving it over to Crystal Webster in the process), Carey showed why she’s one of the top skips in the country this past week. Depending on what happens with Jennifer Jones’ rink after the Olympics, Carey’s run in Montreal will not only make her a top team again in the coming years, but a true blown threat to win it all in the years to come. 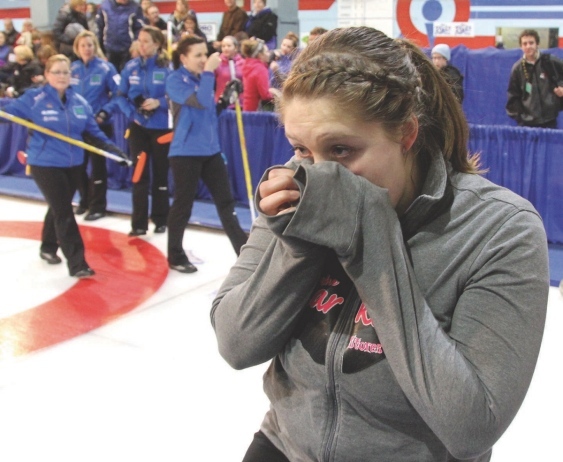 For the past three years, Stefanie Lawton had the talent to get through her provincials easily, but she and her team just couldn’t seem to break through. They finally did this year, and they pretty much showed what they have to offer. Even though they finished in fourth place, they had good percentages throughout the week, and unlike most teams they weren’t blown out in any of their losses. In fact, they were were one of only two teams to push Team Canada to 10 ends during the round-robin. Well I could argue that Lawton pulled a Lawton later in the week, as she lost to Sarah Koltun of the Yukon in her final round-robin game and missed out on a spot in the 1 vs. 2 game on Friday night. Despite all that, Lawton did well and if the team stays together, they will be in the mix during the next four year run. 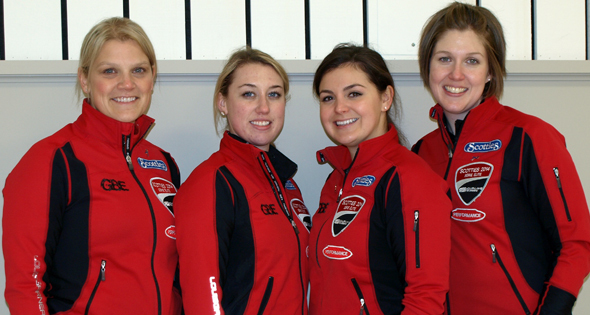 We thought that maybe with a young team and her previous experience at the Scotties that this team would be one of the darkhorses to make the playoffs. Well that did not happen as the team under-performed, especially Heather Smith in a couple of games. Even though their percentage picked up a little bit they were never in contention throughout. Okay, Brett had Smith has his darkhorse, but mine was actually Andrea Crawford, who narrowly missed out on making it into the playoff yet again. That chance will happen soon though for the New Brunswick rink. My biggest disappointment though was Allison Ross of Quebec. I thought the host rink would have a better showing than how they faired in Kingston in 2013, but there were a lot more lopsided results this time around, and they were never near the 4-7 mark I expected of them. With the stress of the Olympic Trials now over, it’s time to kick off a brand new four- year journey to the Olympics and we start things with the Scotties in Montreal. This field has a good mixture of young players, old veterans, first timers, and experienced pros. This may be a glimpse as well of some potential Olympic Trials favourites down the road. So let’s get this started. After a somewhat disappointing Olympic Trials, Rachel Homan and crew are looking to get back on track, as they are the big favourite going into this event. Other than the let-down at the Olympic Trials (where they finished in third), they have had a good year to this point on the World Curling Tour with one win and only one DNQ in five events. We all know how good this team has become and anything other than a repeat title in this field would be a disappointment. Well it took them long enough, but Stefanie Lawton finally got the monkey off her back. After a poor showing at the Olympic trials Lawton and her crew woke up and stormed through the provincials. So now we might be able to finally see the true potential of this lineup that we’ve been expecting to see over the last four years. I expect this team to be one of the contenders to win it all, as long as they don’t blow leads. 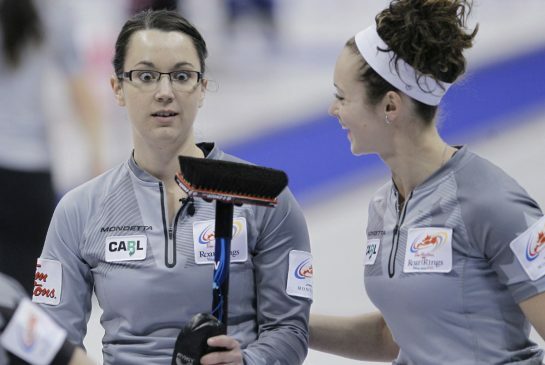 After basically playing second fiddle to Jennifer Jones every single year in Manitoba, Chelsea Carey finally realized her dream and broke through to get her first Scotties berth. As I stated before in the Olympic Trials preview, this is one of the teams to keep an eye on in four years time, so to get your first Scotties in the same season is a pretty good start. This team was definitely the big surprise during the Olympic Trials in December. 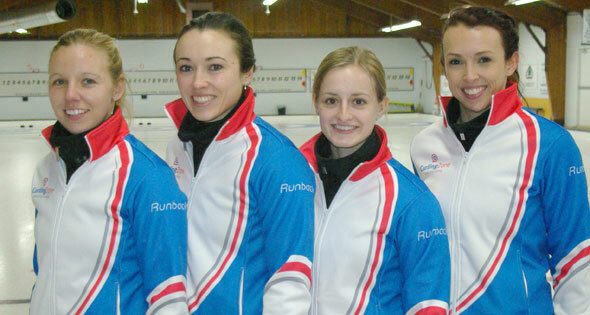 In fact, before they went on a slump, they were in first place after upsetting Jennifer Jones in round robin play. Val’s Scotties experience from 2010 is a tremendous asset for this young squad, so don’t be surprised if they finish higher than fourth place, as the top four teams are very close together. 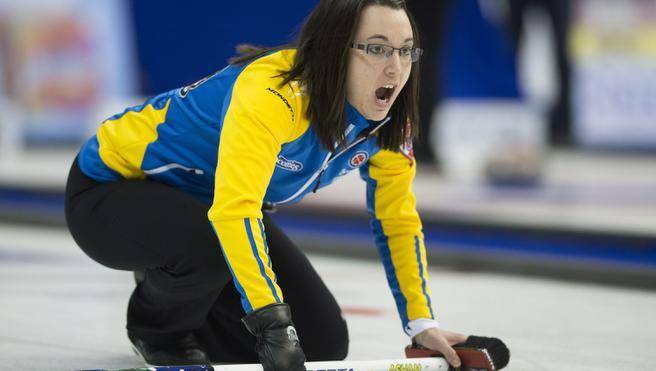 Andrea Crawford has been steadily improving in her many appearances at the Scotties and we believe she is going to breakthrough to the playoffs at some point. This year might be her team’s best chance to do it, but the quality of competition is pretty tight so they can’t have any bad games. 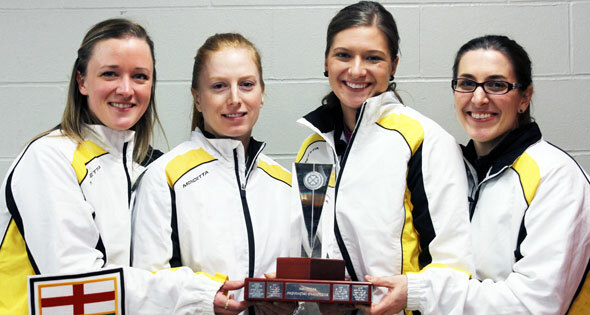 Three years ago Heather Smith shocked almost everyone by finishing in third place at the Scotties. However, a year later, the performance fell off big time as she finished with a 4-7 record. 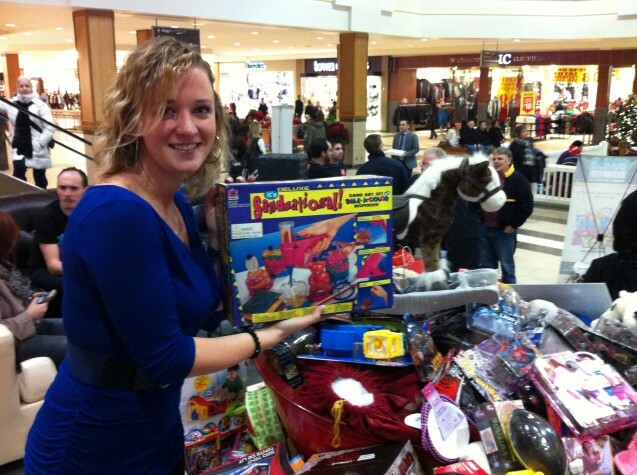 Then things got worse as she failed to win the provincials last year. However things have gotten better with a younger team. Now they are a sleeper to contend for playoffs this year, but could this be a team of the future in four years time? We shall see. 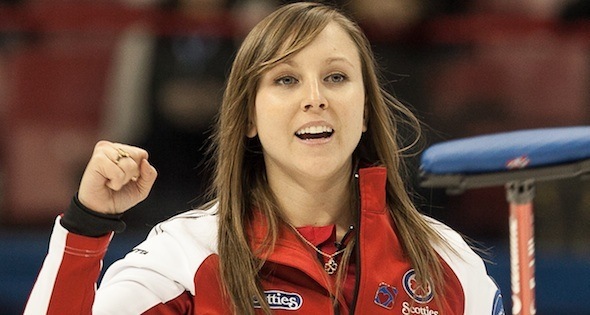 With Rachel Homan already back in the Scotties, many people figured that Sherry Middaugh (the Olympic trials runner-up) would break through to win the Ontario title, or perhaps Tracy Horgan would make her second trip to the event. Well that did not happen as Allison Flaxey stunned the favourites by performing extremely well, especially with Lynn Kreviazuk at second, which now means everyone is looking forward to the battle of the Kreviazuks’ this week. This is another sleeper team, but it’s really hard to tell how they will do, which could make them a real wildcard. Heather Strong is one of those long time veterans who’s been at the game for a long time and is arguably the best team in Newfoundland. 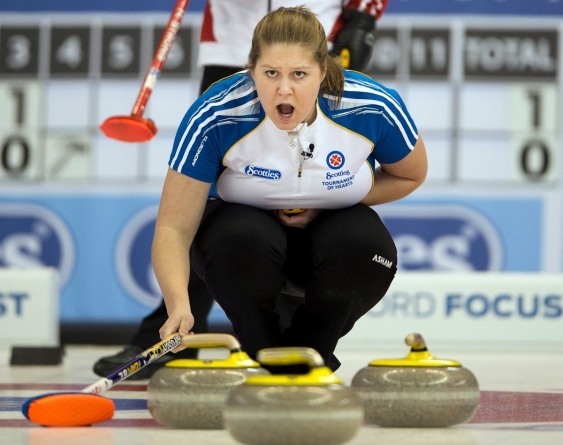 However, in her previous 10 Scotties appearances, she has yet to make the playoffs, as she lost tiebreaker games in 2006 and 2008. She has added a couple new players over the last couple of years to perhaps bring some more success and maybe earn a playoff berth, but it’s going to be really tough. For the second year in a row Allison Ross will represent Quebec, but this time, she will be the home team in the tournament in Montreal. Last year was a struggle as she finished 3-8, so expect to see some improvement this year, but it my not show in their final record. In a shocking upset, Sarah Koltun (who just competed in the Canadian Juniors last month) beat longtime veteran Kerry Galusha and has potentially become the first skip to compete in two nationals in the same year. Sarah is also bringing two of her junior teammates with her, and she has had national success in the juniors with a fourth place finish a year ago. 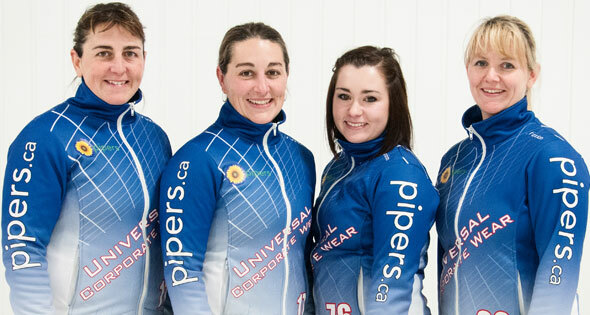 However, the Scotties is a different beast so I expect them to struggle but they will be the best women’s team in the territories in a few years time. 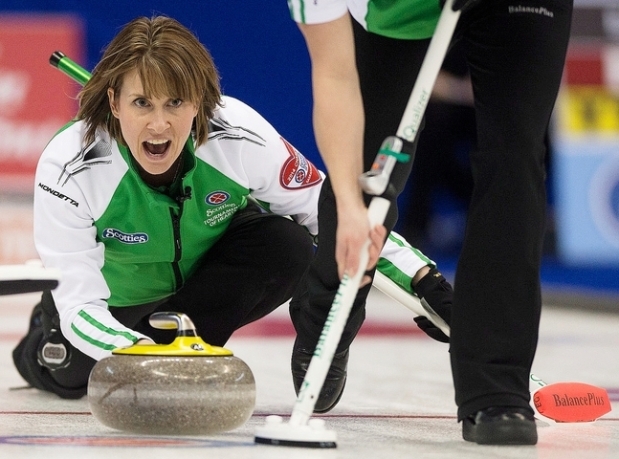 Kim Dolan is another longtime Scotties veteran, as she will be making her 13th appearance at the events. She has had success with Rebecca Jean MacDonald in the past when they made it to the playoffs in 1995, but that was ages ago and she never finished above .500 as a skip. It’s going to be tough for her to have a winning record, though she may pull off an upset win or two. If you though Sarah Koltun’s upset in the Territories was shocking, this tops it by a million. Former Canadian Junior bronze medalist Kesa Van Osch stunned former Canadian and World Champion Kelly Scott in the Provincial final, and perhaps also ended Scott’s career as the team split up shortly afterwards. The same thing could happen to Van Osch like what happened to Andrew Bilesky in the Brier last year, as they will more than likely struggle. But I wouldn’t sleep on this team in the future, especially since Kesa’s younger sisters (Kalia and Marika) just finished as the runner-up’s at this year’s Canadian Juniors. I have just been informed that this event is no longer called the Macdonald Lassie, and I for one am rather upset by this news. As for this year’s Scotties, I’m pretty interested in it. Since Jennifer Jones is competing at the Olympics in Sochi, the race for the playoffs does look pretty wide open as for who will be in the mix come the weekend. However, there is one team that stands out from all the rest. 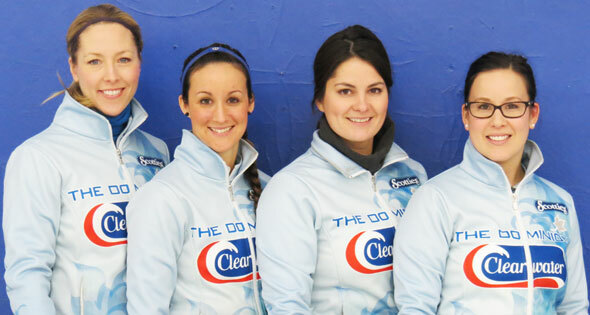 Okay, I’ll admit that Rachel and friends are my favourite team that’s not Scottish Curling Heroine Eve Muirhead, so I’m going to be biased in picking them to win the Scotties for a second year in a row. However, it really is there’s to lose at this point. On paper, they are head and shoulders better than everyone else in the event, and they nearly ripped through the field in winning it 2013. I don’t see them having too much difficulty along the way. 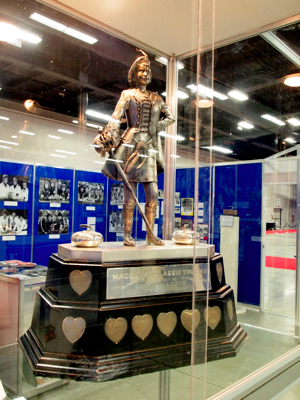 Realistically, Stefanie Lawton should have been at a Scotties more recently than her last visit in 2009. You can excuse her for losing in 2010 and 2011 to Amber Holland, especially since Amber won the entire event in 2011, but the setbacks to Michelle Englot and Jill Shumay in the last two years were just off the charts in unexpected upsets. Lawton’s team is a strong one, but as Brett mentioned, they have blown leads in spectcular fashion, most recently in the 2013 Players’ Championship semi-final against Eve Muirhead. 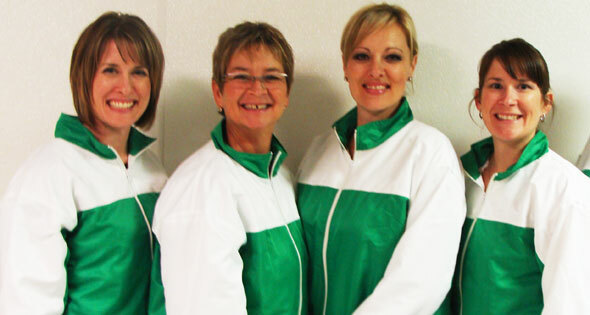 If those issues don’t crop up, the team from the land of the Greenriders will be the strongest test for Rachel Homan. 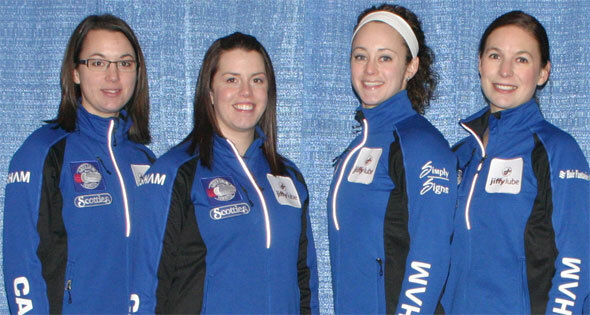 As I wrote in the Olympic Trials preview, Sweeting impressed me with her strong start at the 2010 Scotties in the Soo, and she did so once again with some early success at the Olympic Trials before her team faded late in the week. If the mid-week swoon doesn’t happen, and Val shows that she is used to competing on the national stage all week long, I wouldn’t be surprised if she’s a finalist come next Sunday. It took her a couple of years, including a tough loss to Jennifer Jones in 2012, but Chelsea Carey has finally made it to the Scotties. Although this is her first trip to the nationals, anything less than a playoff performance would be a huge stunner, as she and her rink are one of the best on the World Curling Tour. Thanks to the addition of Rebecca Atkinson a couple of years ago, the Crawford rink has gone from a team that would usually end up in the mid-table at the Scotties, to a squad that has a legit chance of being a playoff contender. However, for Crawford to make it into the playoffs, she will have to knock off one of the big teams in the round-robin. Otherwise, they will be on the outside looking once again. Let’s put it this way, the Smith rink (it’s going to take some getting used to not saying Smith-Dacey by the way) won’t be as bad as the 2012 showing where they were nowhere near the playoffs, and they won’t be as crazy good as they were in 2011. With that said, I have no clue how they will do. They could be a playoff team or one that hangs around the middle of the pack all week. That’s how tight this part of the field is. Speaking of wild-cards, we have Ontario. 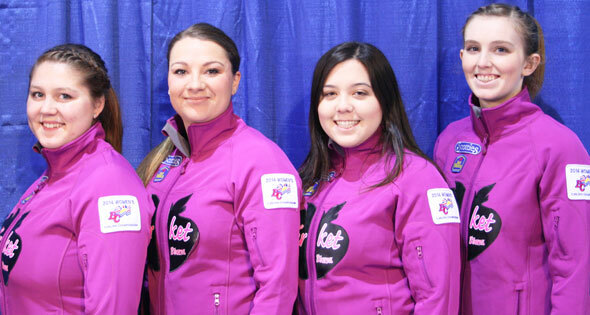 I honestly have no clue how this team will do in their first trip to the Scotties, despite the fact they were lights out during the Ontario provincials in the Soo last month that no one gave them a chance in going into. I am pretty excited though to see Lynn Kreviazuk at the Scotties, and not just because she will be playing her sister Allison later this week. 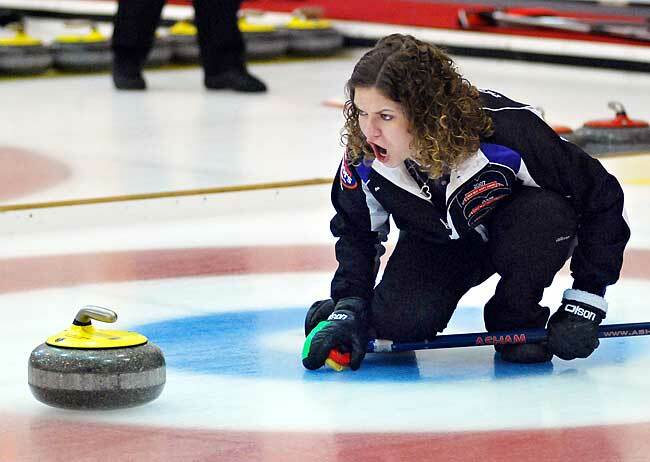 Lynn’s a pretty good curler, and was a part of the Laura Crocker team up until last season, so I expect her to have a strong week. In the lead up to this year’s tournament, I decided to look at how Ross did last year for Quebec, and it was a pretty interesting 3-8 record. She either won tight games, came out on the wrong end in close affairs, or was blown right out of the building. There was no real middle ground. So what do I expect this year? Well I don’t think she will get blown out by a bunch of teams (except for maybe The Rachel Homan Killing Machine), but she will probably have a 4-7 record when it all shakes out, despite having some improvement in her overall game. Oh come on guys, you knew Amber Holland was going to make a cameo at some point. As for Strong, this is a team that it’s hard to see finishing much higher than this. Don’t get me wrong, this is a pretty solid team, but I don’t think they match up well with some of the squads that are a little bit higher in my predictions. Though I’m sure Brett was hoping that his boy Thomas Scoffin would play in two nationals first for the Territories before he moved to Alberta, to see Sarah Koltun make it to the Scotties after just playing at the Juniors is pretty amazing. Now while I don’t think she’s going to be in the mix for a playoff spot or anything like that, I do think Koltun will pull off at least one major upset this week, which will help to set the stage for future Scotties trips by her and the rest of the team. 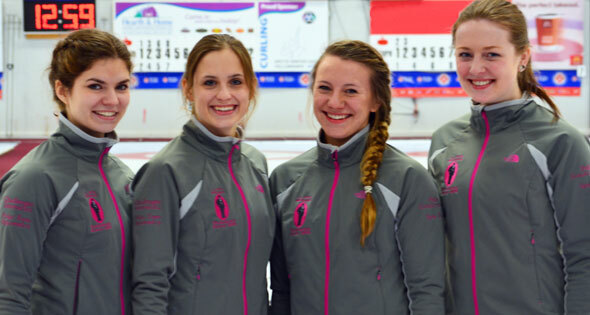 After pulling off probably the biggest shocker at a provincial playdowns in the last few years, how exactly this young team from British Columbia will fair at the Scotties is anyone’s guess. When it comes down to it, I have to agree with Brett. They might struggle a little bit, but this will be a team that will be a force in the next few years, especially when her sisters come up from the junior ranks. 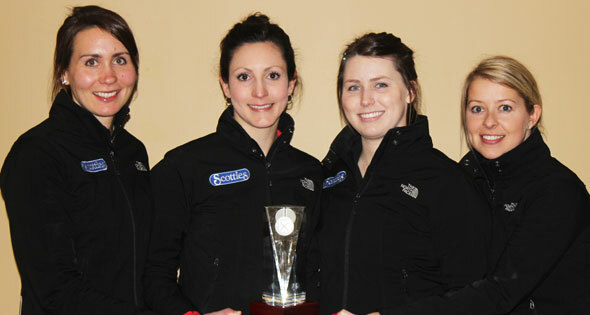 Remember when Kathy O’Rourke nearly won the Scotties in 2010 with Erin Carmody on board? Those were fun days. Alas, that’s not happening with the Dolan team, especially with this field on display in Montreal.